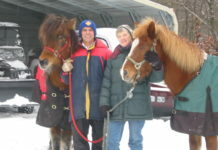 I ride my Friesian Sporthorse, Miss Oprah, in the Easyboot Trails. I love the ease of putting them on and taking them off! 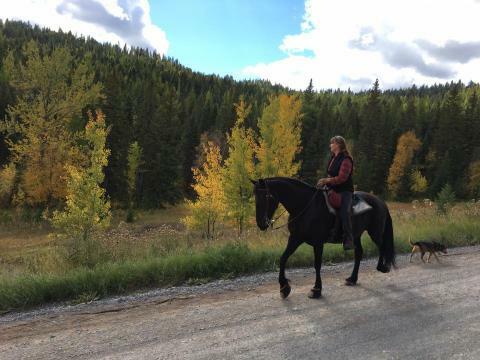 We ride in Montana in late spring and into fall. In the winter we ride in Arizona. The boots work great in all terrain. 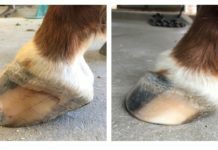 Miss Oprah moves out great in them and I don't have to worry about her hooves getting chipped or her soles bruising. 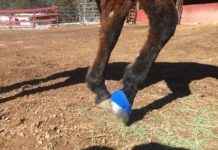 Thanks EasyCare for making such a great product for our equine friends.